We arrived on Sunday around noon and had lunch with a few buddies who were on their way out, as well as most of the fellow hikers who'd already arrived. 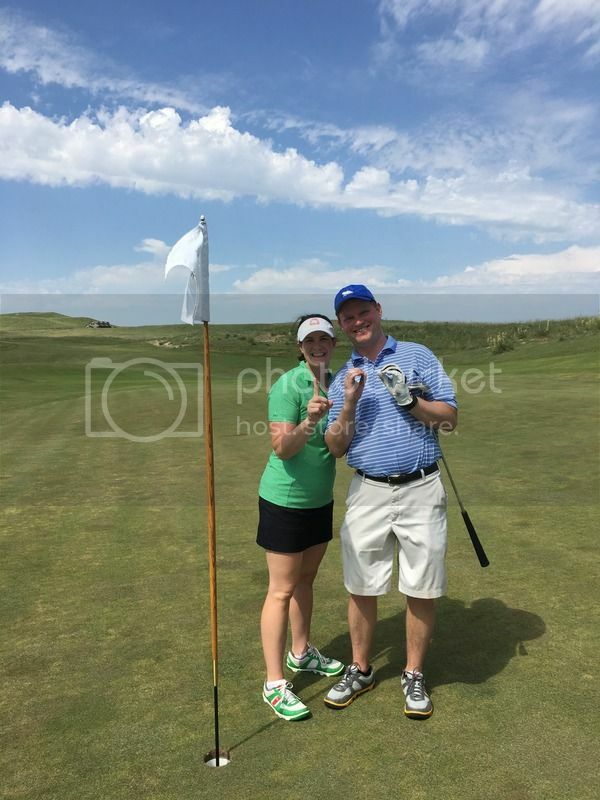 It was our first family of four trip to Ballyneal and Father’s Day, which were both very special. 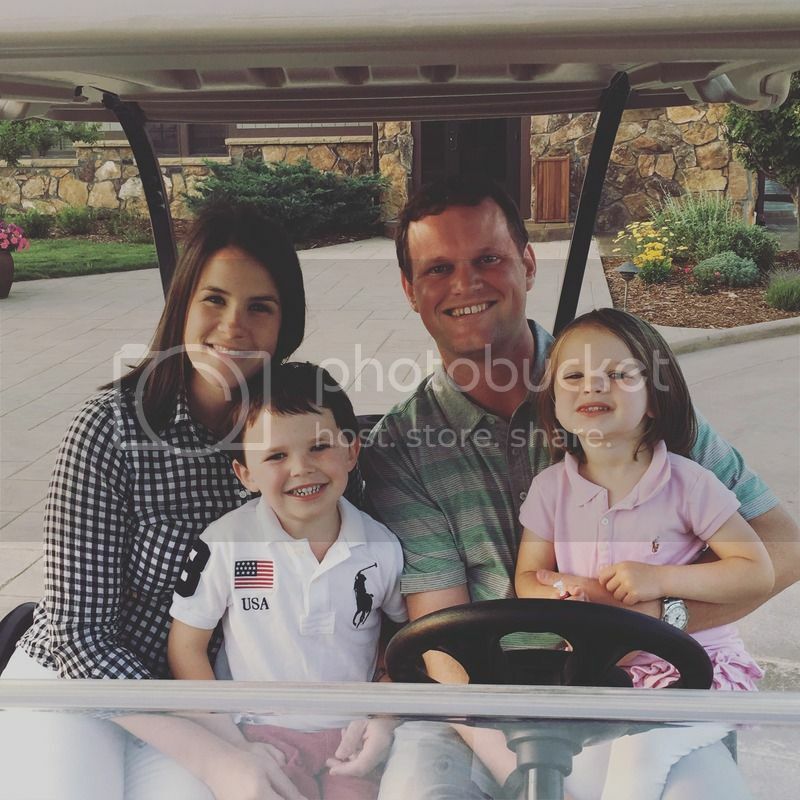 Unfortunately, the weather on Sunday was 100 degrees and so we only lasted 4 holes as a family that afternoon. 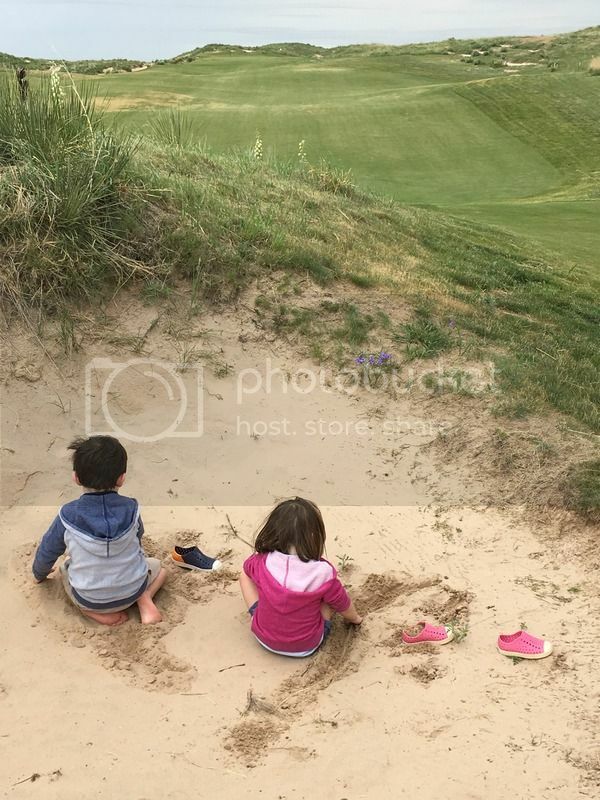 Brooks and Margaret both loved every second of it though and found that evening Ballyneal’s bunkers are perhaps the world’s greatest sandboxes! The next day I had the 4:47am tee time for the Hundred Hole Hike, which might seem really early, but during the Hundred Hole Hike – you’re actually the last “group” off. Lit by a full moon, I had fairly decent visibility at that early hour and got off to a great start with a green in regulation and two-putt par on the first hole. The pins hadn’t been changed out from the day before as we beat the maintenance crew out, which gave good familiarity for the first round until they were changed before round two. The peacefulness of the early morning was incredible – it’s actually a tee time I’d very much like to have again. 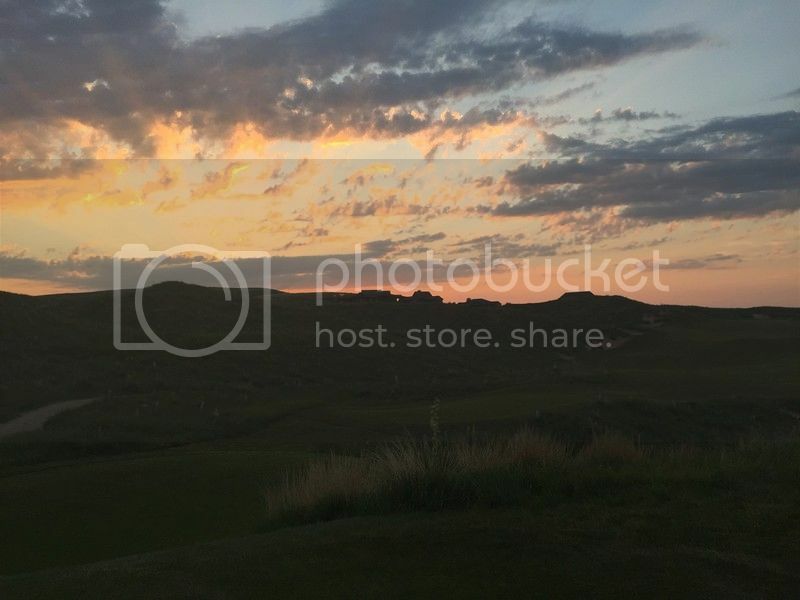 The first 36 holes went by very quickly, which I guess makes sense as it’s my standard day at Ballyneal – although I’m usually not through 36 holes at 8:31am! After round two, I picked up my first caddie of the day, a local high school student named Deacon – who was in many ways the exact kind of kid for whom I was hiking. Deacon did a great job of keeping a quick pace and reminding me to hydrate, rounds 3 and 4 also went by in a blink. 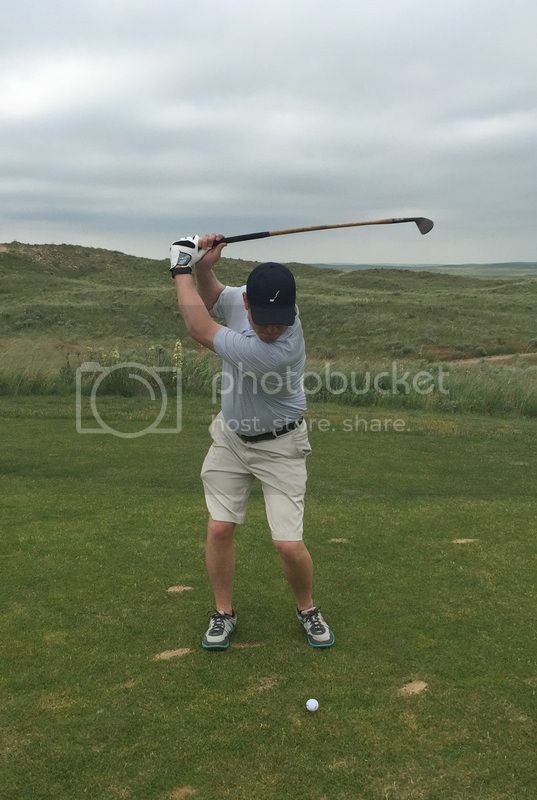 I also started playing the par-3s in this round and for the rest of the day with one of Charlie Mulligan’s hickory clubs – which was really fun and something I'll be doing regularly! 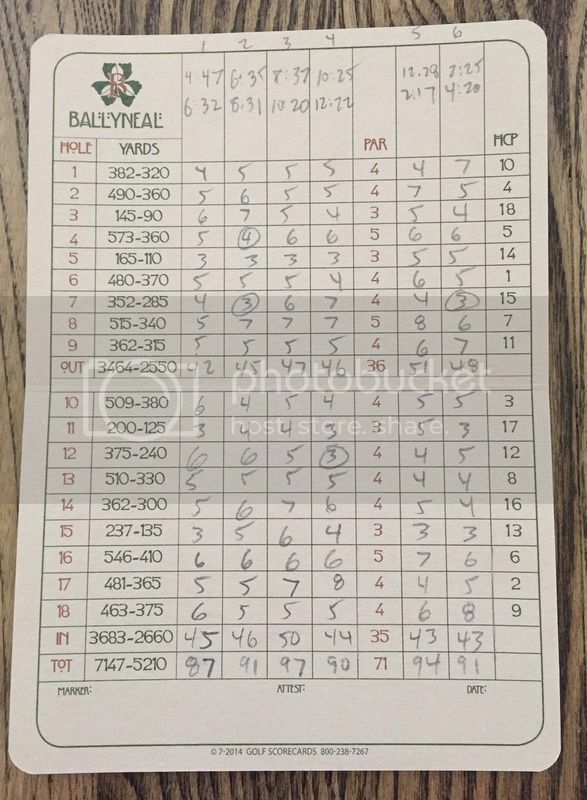 Round 5 was the toughest of the day – I was at 20+ miles at that point, but not on my 100th hole round yet. I got new legs on my bag with another local kid named Logan, who is heading off to college in the fall to study to be a pastor. Logan was just coming back to work after having his wisdom teeth pulled and was very excited to be back out on the course. I enjoyed his fresh perspective and energy, he got me through a tough round. As I rounded the clubhouse en route to my 6th and final round of the day, there was another caddie switch. This round Mary caddied for me, who I knew as she’s one of the waitresses in the bar, but didn’t know she caddied. On the first hole I found out that this wasn’t only her first time ever caddying, this was her first time ever on the Ballyneal course. For a split second this concerned me, but once I saw that she could move quickly and had a lot of questions for me about the course – I knew it would be a good fit. I had my best hole of the day on the final round – driving it to 12 feet on the par-4 7th and lipping out the eagle putt, but tapping in for birdie. Lilly also walked that final round with us, it was awesome to have her there for the 100th hole – which was #10. Jim Colton, my friend who started the Hundred Hole Hike and played 162 holes that day, lapped me on my 3rd to last hole – his 124th and my 106th. Julie Urban was kind enough to take care of the kids during that final round and she brought them down to the 18th green as I finished the 108th and final hole of the day. Throughout the day I received countless texts, Twitter messages, Facebook comments and even a few last minute pledges! 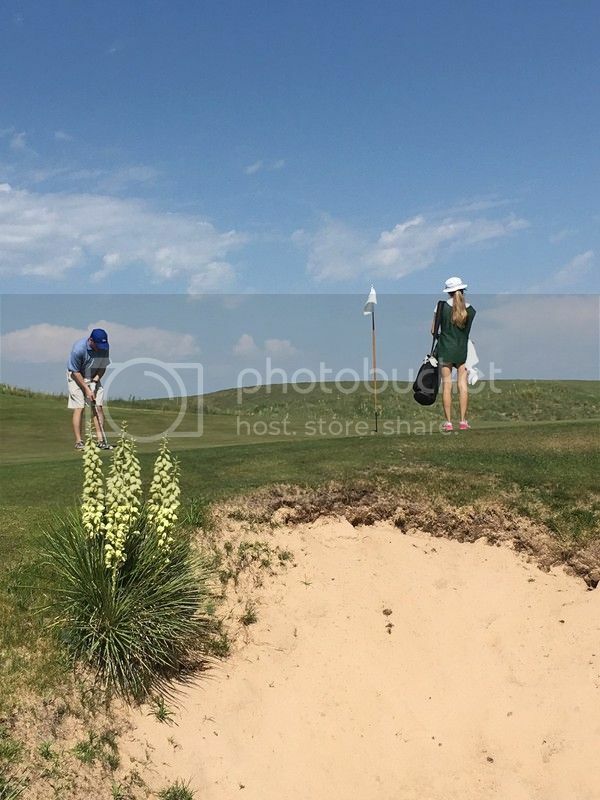 After the hike, I took a shower and had some dinner – then took the family on a really fun golf cart ride around the property where the kids finally saw their first Ballyneal turtle! 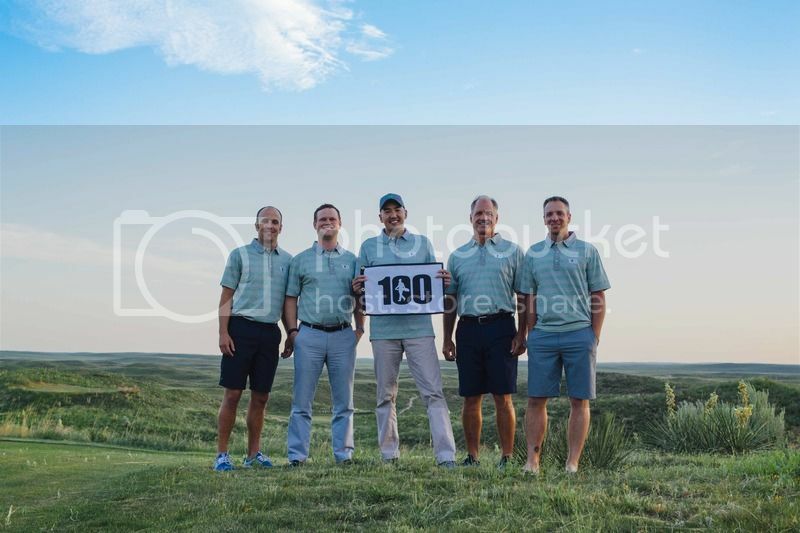 Congrats and thanks to the other 4 hikers at Ballyneal – John Penny, Jim Colton, Gary Albrecht and Brandon Urban – who all were extraordinary athletes, fundraisers and friends! It’s pretty amazing how well I played all day despite having just 6 clubs, no warm up shots, very little time to line up putts and never catching my breath for the whole day! 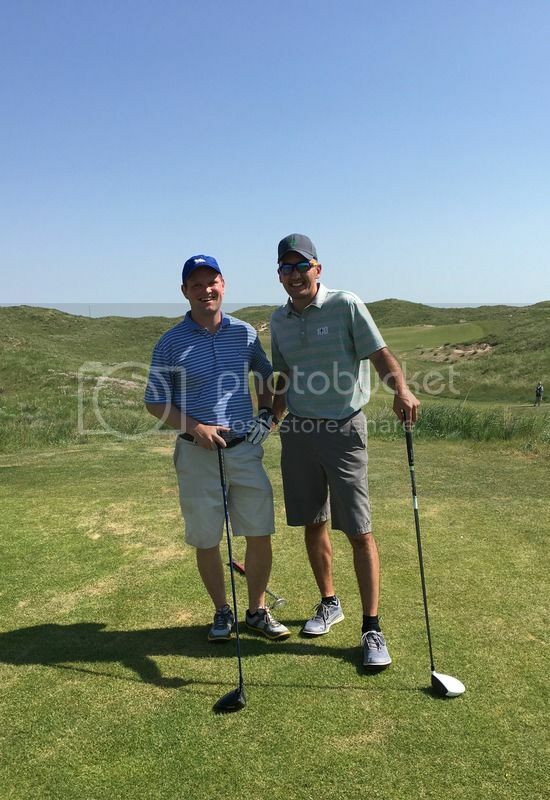 Thank you to all of you who supported my hike and the Solich Caddie and Leadership Academy! It was an amazing day and I hope many of you get out to CommonGround this summer to take one of the Solich Academy caddies on your next round.